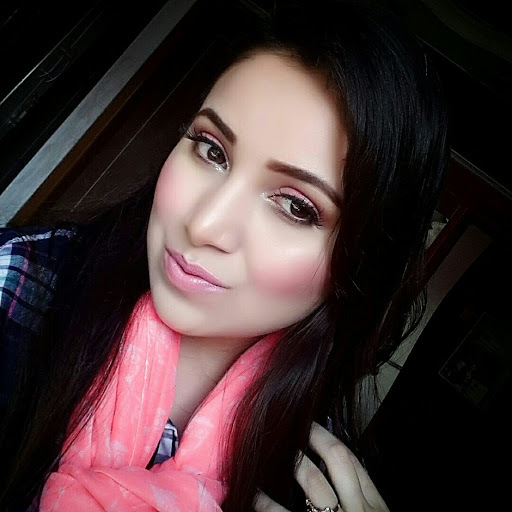 Hope you all having a great 2018 I am going to share something exciting with you all.. yes I am soon getting married ..it makes me wonder how the time has passed.…As I am going to be bride soon I have been recently trying lot of new makeup products. I actually got an excuse to explore some of the amazing beauty and skin care range. Well for today I got to talk about SUGAR COSMETICS GODDESS OF FLAWLESS SPF 30 BB CREAM along with that I also have New BLEND THE RULES eyeshadow palette in 01VOGUE. 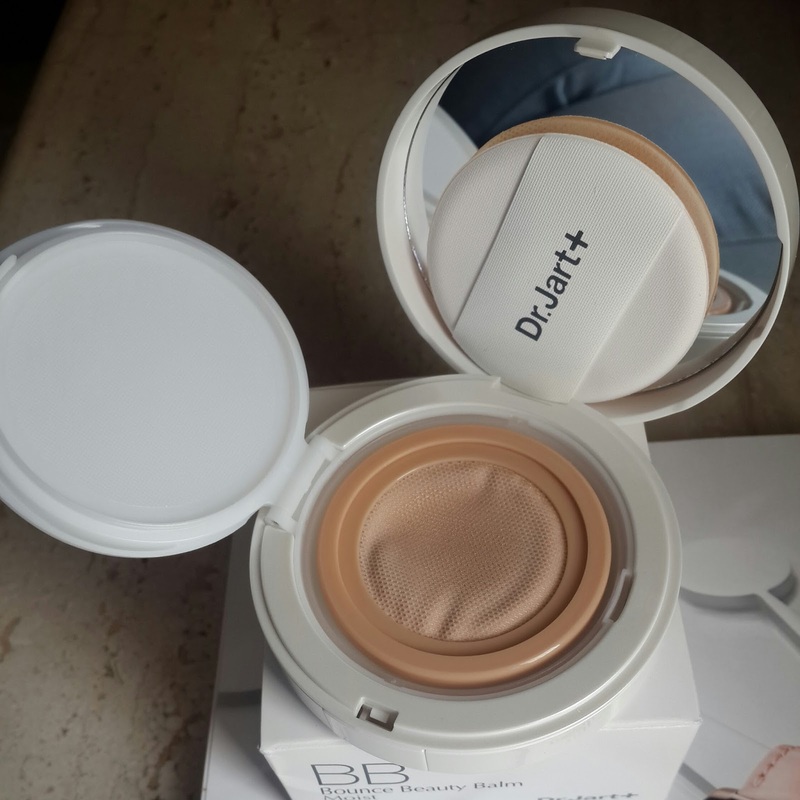 This BB CREAM comes in a simple sturdy and travel friendly packaging. The black opaque tube is easy to use you just have to squeeze the tube to get the right amount of product. Just apply it with your fingers or brush whatever you are comfortable with. 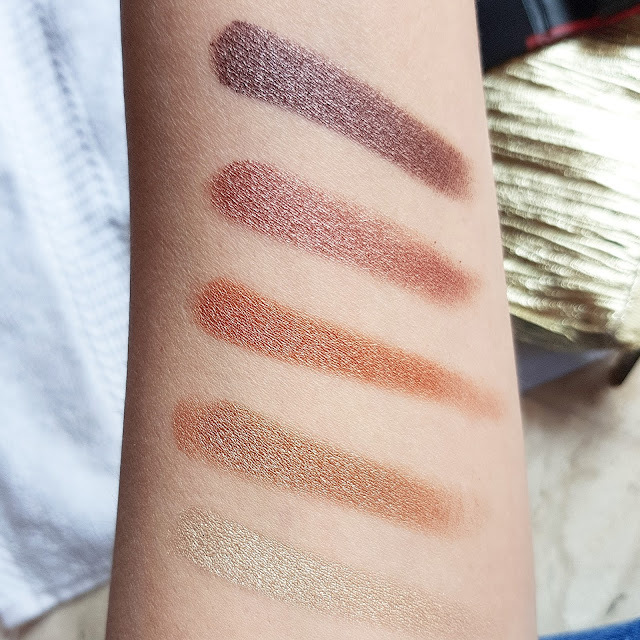 The texture is soft velvety which blends into skin beautifully. Its smooth and buttery like a mousse which feels ultra light on application. It claims to protect the skin from pollution by making a barrier. The product contains silicon which makes your skin look more even in texture. 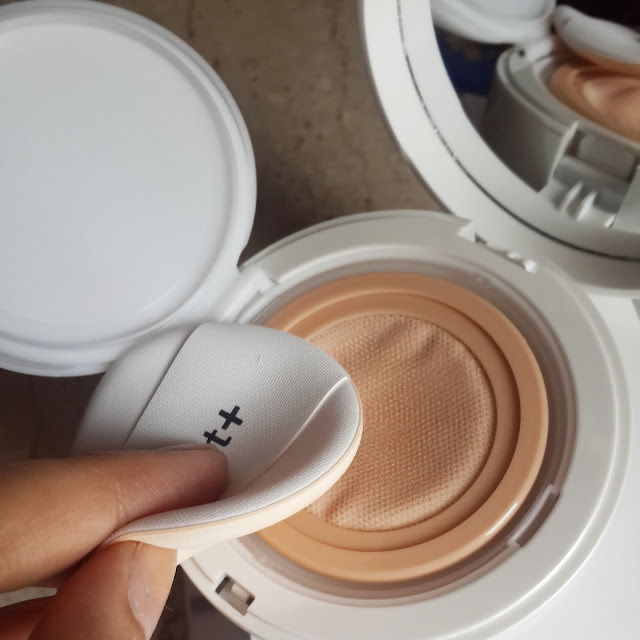 It has a light coverage its difficult to build the product to get medium coverage. It doesn’t help to cover dark spots or acne marks. This bb cream is good for normal to combination/oily skin. It won’t be able to hydrate dry skin and can accentuate dry patches on skin. It doesn’t contain any fragrance also it contain spf which is great for summers too. The only thing I was expecting it to be more pigmented rather than sheer. You got too have great skin to use only this BB cream or you cam also use compact over eat or concealer to cover the marks. 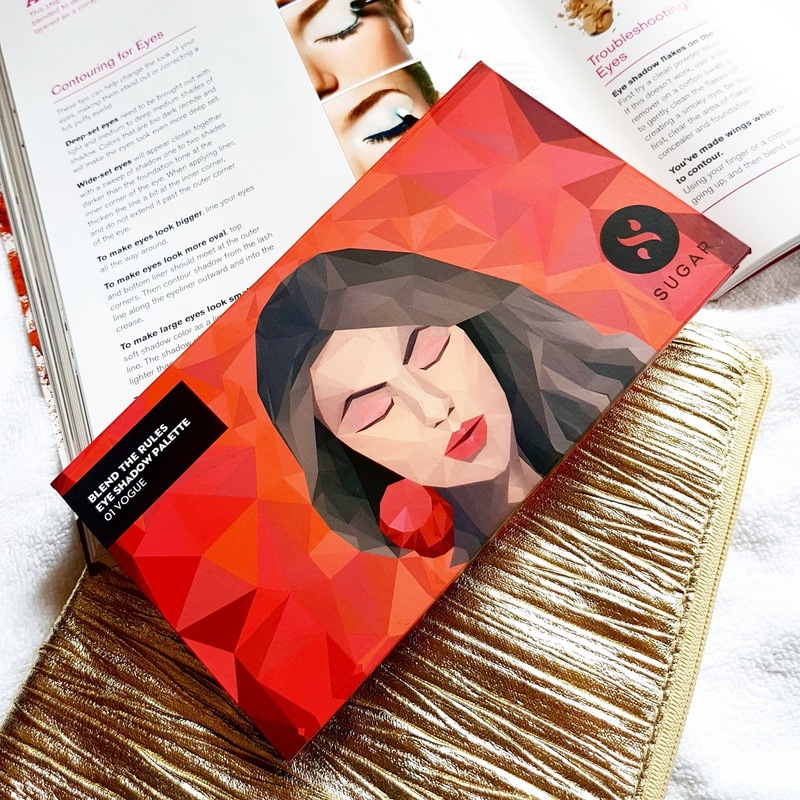 If you are looking for no makeup makeup look than this product will help you deliver flawless natural looking complexion. 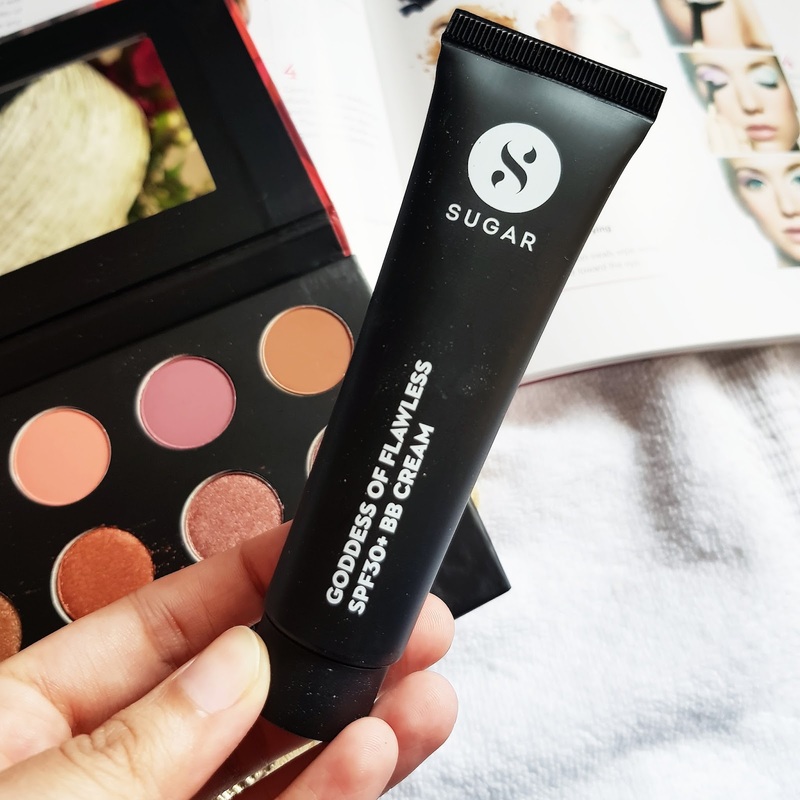 It gives complete matte finish and keeps your face oil free and sweat free throughout the day. Also this product did not gave me any break outs. It’s a oil free mineral free and parabens free. It evens out skin tone giving you natural matte finish. There are 4 shades available my shade was 01 Latte it’s for fair skin tone having neutral undertones. For MAC users its like NW 20. It contains 10 eyeshadows with a full size mirror on one side. Double tip applicator brush is also inside the palette. 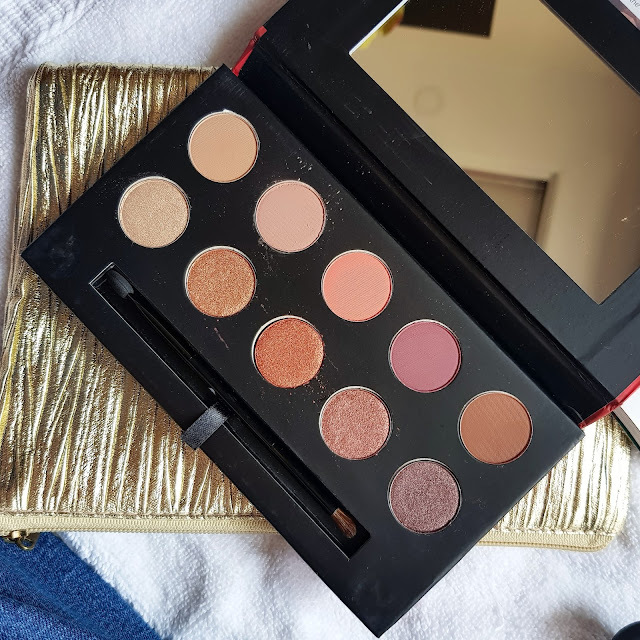 So in this palette there are 5 shimmer eyeshadows and 5 in matte. They are priced at 1599/-INR which is quite reasonable. 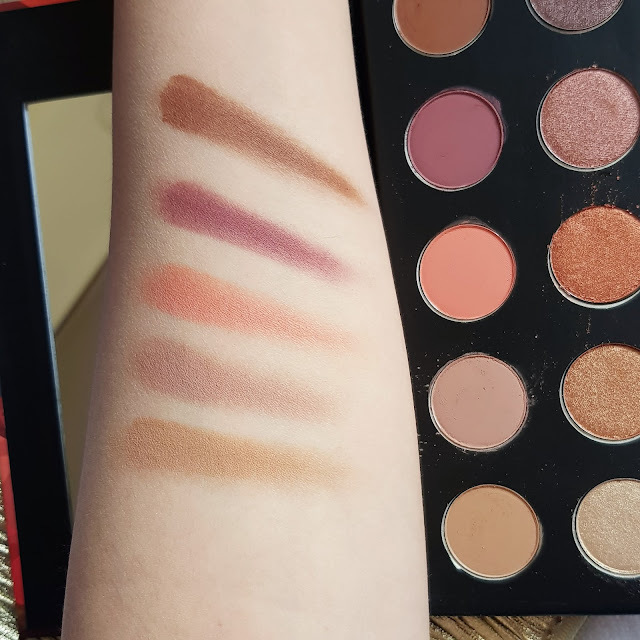 I am already impressed with this palette the colors are amazing they are super soft and easy to blend. The texture is buttery smooth. Almost each and every shade is highly pigmented and gives excellent color pay off. Matte eyesahdows don’t give much fall outs. The palettes are very sleek and travel friendly. 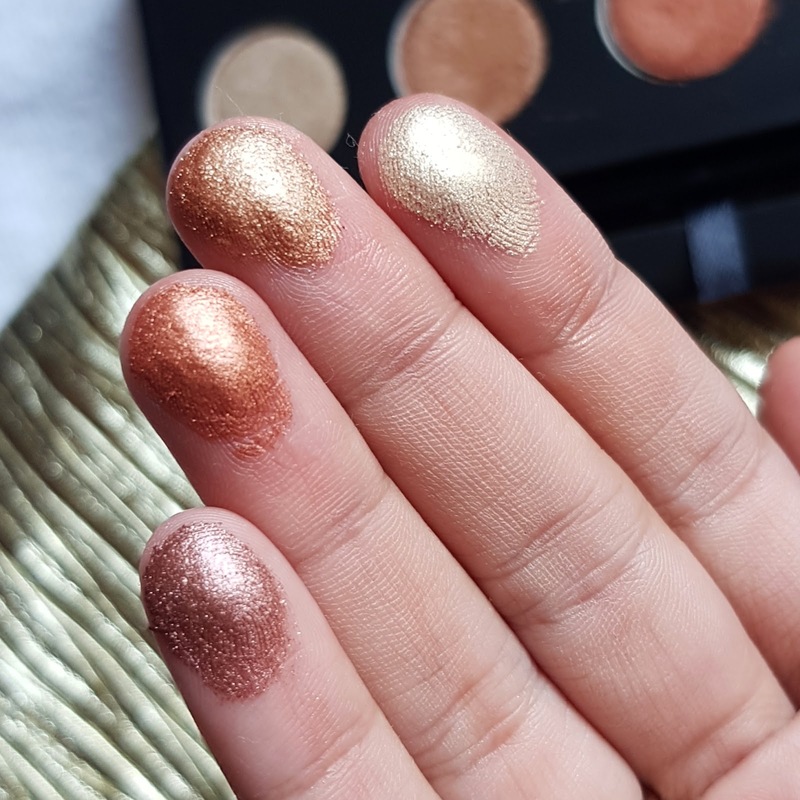 I loved the pigmentation of these eyeshadows. It stays with the primer for 8-9 hrs without smudging or creasing. 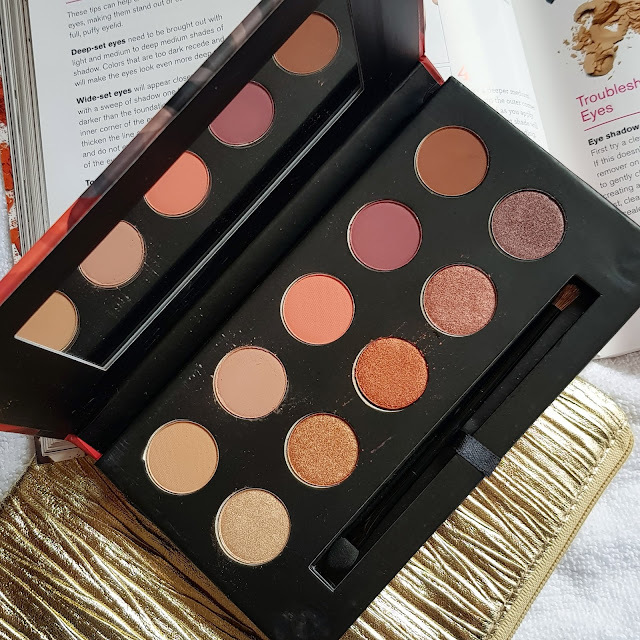 Overall I completely recommend this palette for even a beginner. 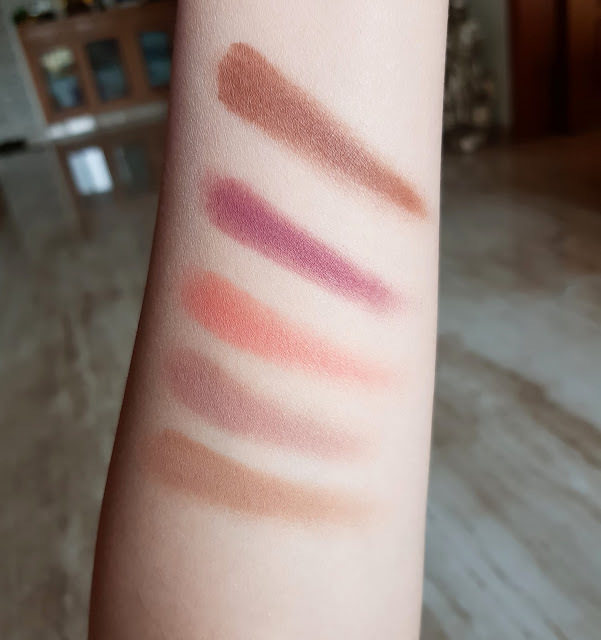 The colors are really soft and suitable for every occasion and on every skin tone. 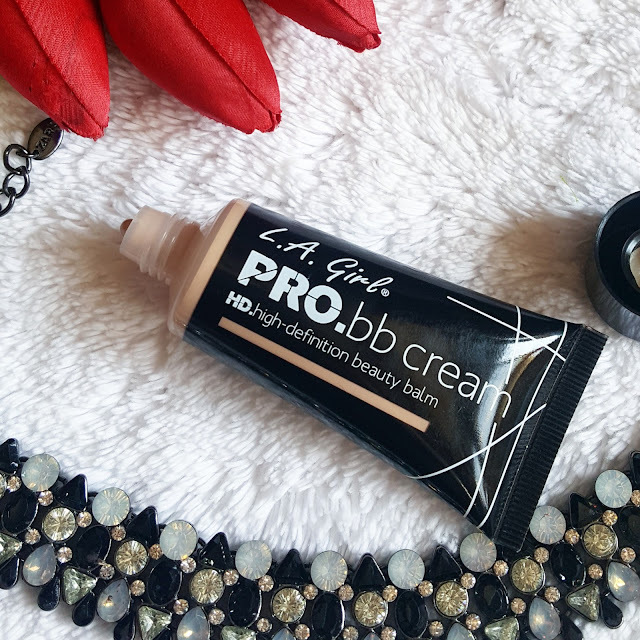 I was on a hunt for BB cream and I had completely forgotten LA GIRL PRO HD range. 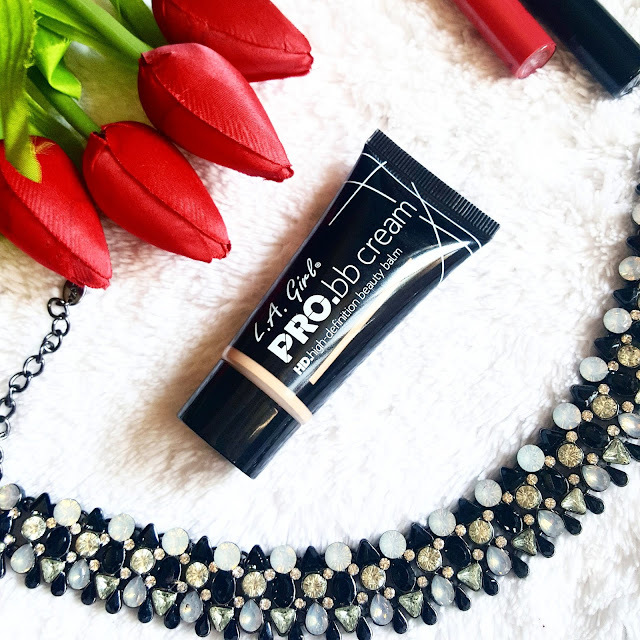 I already love using pro hd concelar and I was eager to try their HD foundation and BB cream. I have never come across high definition bb cream so have lot of expectations from this product. LA GIRL HD PRO BB CREAM comes in 8 different shades. MY SHADE IS LIGHT. 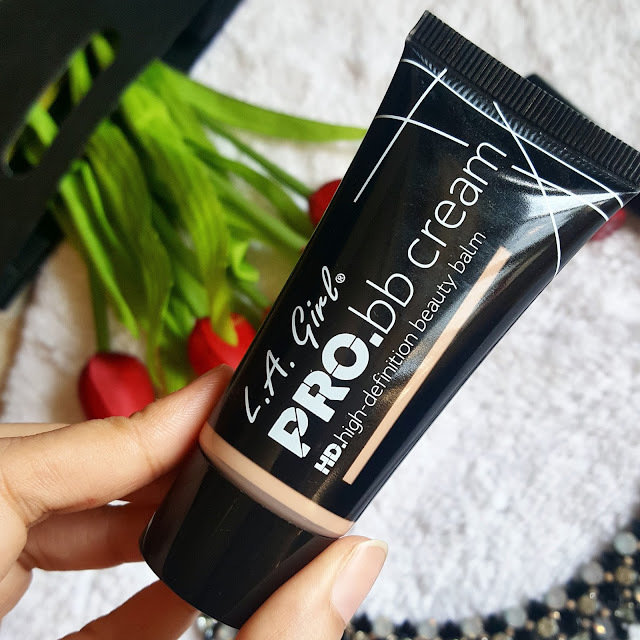 This BB cream comes in a black glossy tube with twist up cap. You have to press the tube for getting a generous amount of product. Well the tube comes in travel friendly size so its easy to carry. I like applying bb cream either with fingers or flat brush just like a foundation. But you can also try using a beauty blender. I have previously tried lots of bb cream but due to my combination skin very few products stays really well on my skin. Previously I was using Maybelline BB cushion and I totally loved that product. So I am expecting this to be better than anything else. The shade I choose is light which is second shade to FAIR. 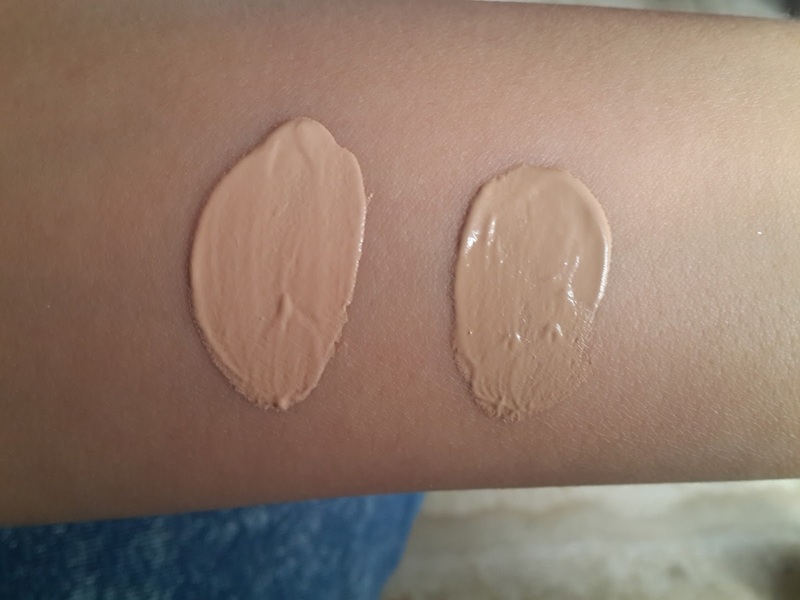 This shade is for fair skin tone having neutral undertones. Its best shade to go with my skin tone. This has a perfect consistency which I like in my bb cream. It gives medium coverage which I totally loved it. I am obsessed with this bb cream as it gives such a smooth flawless application. It blends like a dream in skin. You don’t need to put much efforts when you have normal to oily skin. Well I guess even for dry skin it can work with light moisturizer. I didn’t apply any other products besides this bb cream and it stayed well for 4 hrs. Later on i did observe my nose getting bit oily so you can apply a compact for touch ups. The texture is perfect balance of cream and liquid foundation. 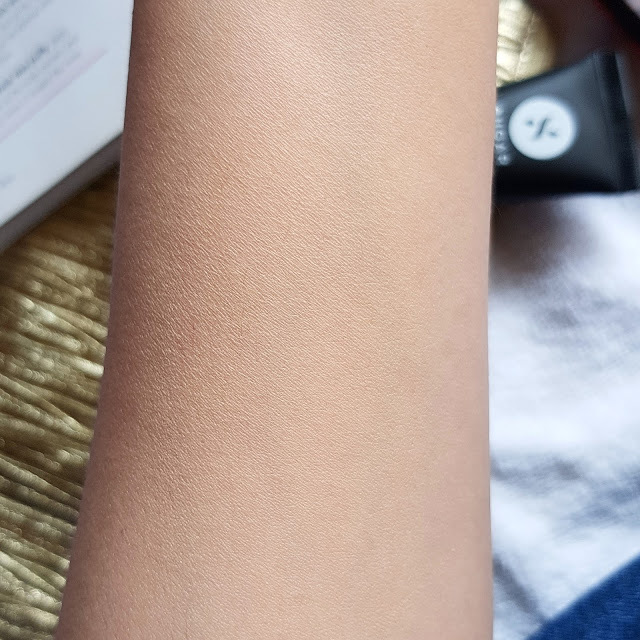 It feels so light on skin and this is one of the reason I like using on everyday basis especially when its summer. If you apply a loose powder it doesn't get oily even when you are out in sun. It doesn’t crease neither it looks patchy the formula doesn't cling to dry patches. It doesn’t contain any kind of fragrance. It doesn’t clog my pores and doesn’t cause any breakouts. 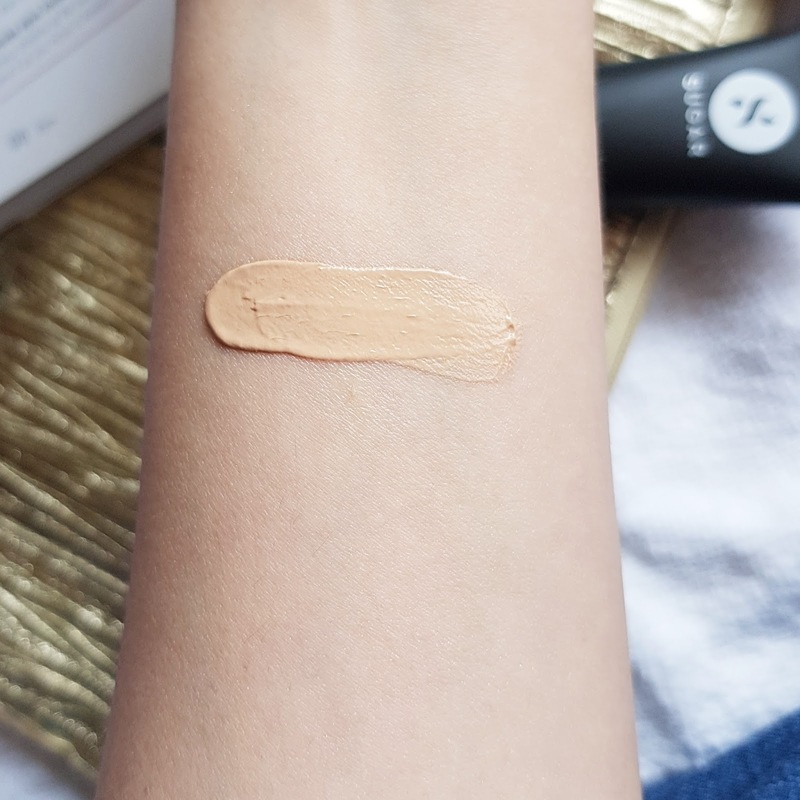 Overall recommended it has lived up to my expectation it gives a perfect glowy skin which I love. Also its so easy to carry and so so easy to apply even when you are in rush. Great product to try for all skin types you can also mattify it by using a compact or loose powder over it. I personally love well hydrated glowy look. Also they have 8 shades in this range from which you can choose from. This bb cream gives a perfect silky satin finish look and it not only enhances skin tone but also moisturizes it. If you have enlarged pores you can still use this without the primer as it helps to cover them. The only one thing I wished for was SPF this BB Cream doesn't contain any SPF. You may have to use additional SPF. Have you tried it yet? 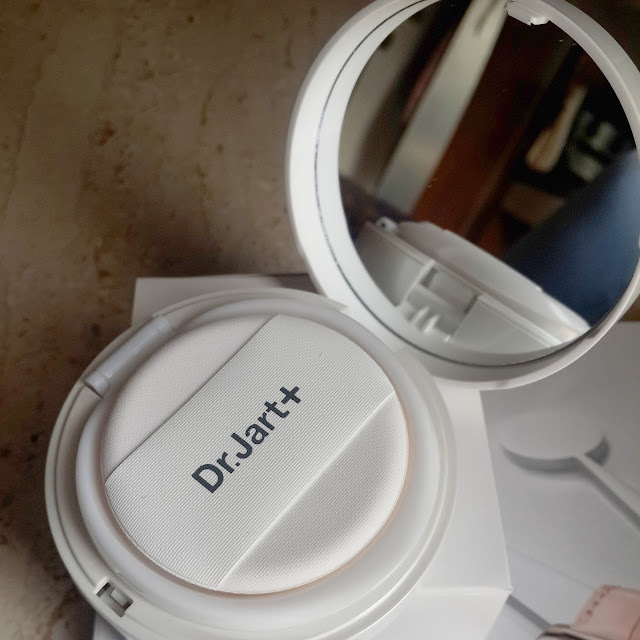 Dr. Jart is a brand known for its skin care products its Korea based brand. Dr. Jart is also famous for beauty balm know as BB creams they have different types of BB cream available. 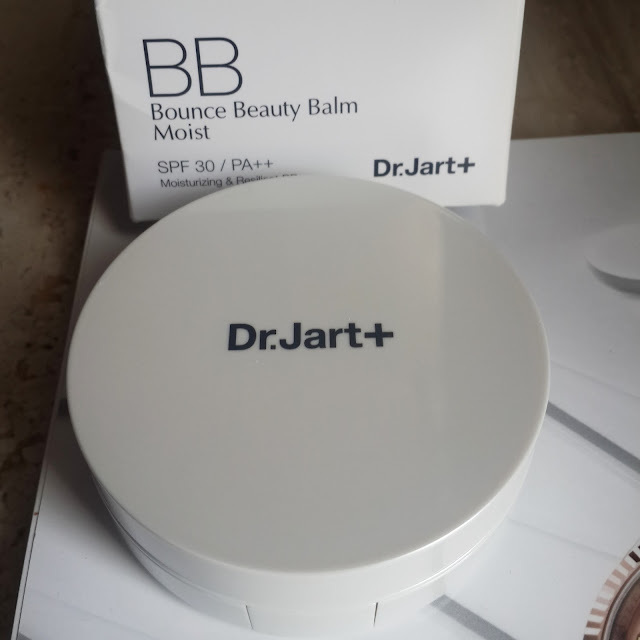 I previously had used Dr. Jart Bubble foam pore minimiser face wash and I found it to be good so I got this Bounce Beauty Balm which is a new product in their line. I got attracted to its white opaque packaging. Unless like other bb creams this don’t come in tube but it comes in compact form having dual lids. When you open first lid It has a mirror inside and powder puff its design in such a way that it becomes easy to carry while travelling. 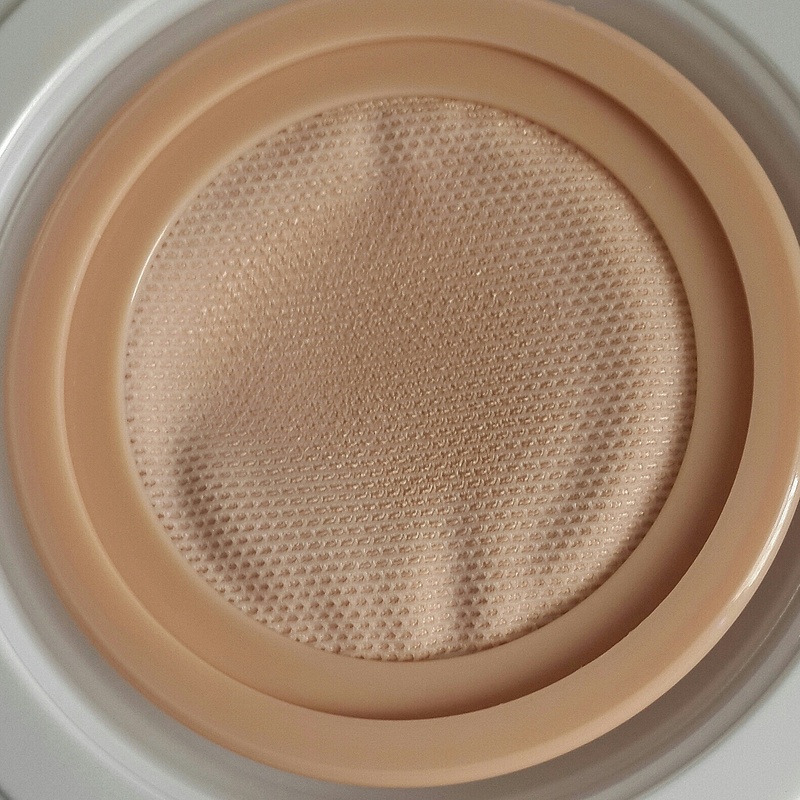 The second lid has elastic mesh barrier to protect bb cream. The cream comes out of the elastic mesh barrier when you apply pressure using the sponge or puff which it comes with or using finger tips. 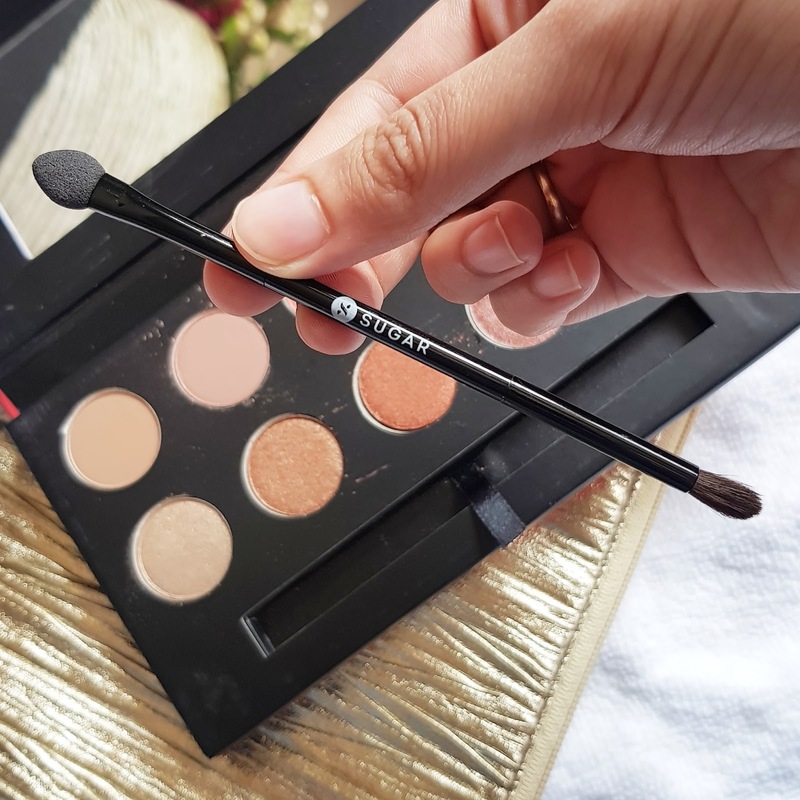 If you are using puff it becomes little messy and you may have to make more effort to blend so I personally prefer using flat kabuki brush OR fingers. They are like tinted moisturisers but having more coverage. The texture is fluid creamy and i feel its moisturising whenever i touch with my fingers. But Its difficult to blend this cream in skin especially if you have dry skin. It has medium coverage you can build up this product to give full coverage and that helps in covering blemishes too. I choosed 01 light this shade was little light for my skin tone. So until and unless you are not porcelain fair opt for medium to dark shade. This product is good for even sensitive skin as it contains titanium dioxide and zinc which are mineral sunscreens. Also helps firming the skin as it has Hyaluronic acid known for maintaining skin elasticity. It also contains GRAPE SEED OIL, ELDERBERRY AND POMEGRANATE EXTRACTS known to improve skin texture and tone. It corrects uneven skin tone and brightens up your complexion. You don’t require to use any sunscreen. Its good for all skin types but oily skin can feel this more moisturising. 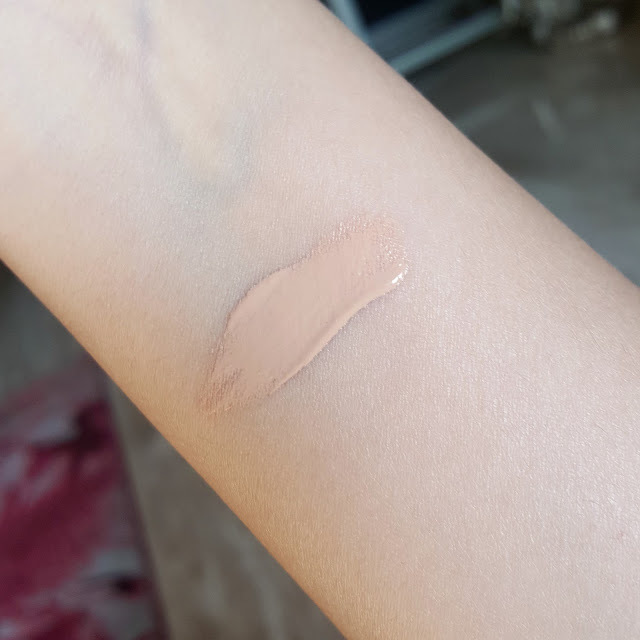 After application it gives me matte finish look. It helps in minimising the look of pores. Its good for everyday use. This beauty balm not only provides broad spectrum sun protection but they are also moisturising. Its a Fragrance free and Paraben free cream. Its long lasting bb cream staying for almost 7-8 hrs . Its pricey and I didn’t felt ultra moisturising instead I had to put efforts to blend it. The shades are very limited. Due to the mesh barrier its difficult to know when you are running out of the product as you cannot see. I may not repurchase this same product but definitely some other bb creams from this brand which are more sheer and hydrating to my skin. But i would recommend it to girls having oily skin,blemishes, acne prone sensitive skin and those who cant use foundation on everyday basis give it a try i have heard good reviews for those who are having oily skin. Maybelline have come out with new dream pure bb cream for acne blemish skin. It has 2 % salycilic acid which helps to keep you skin clear. 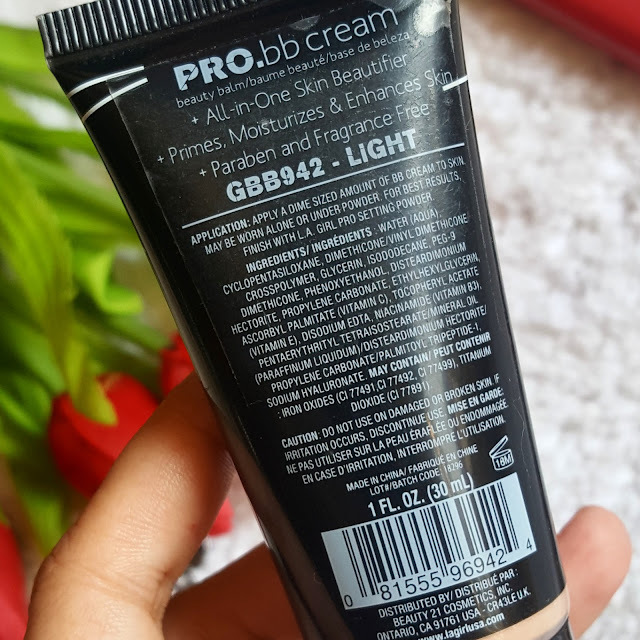 Which I totally liked about this bb cream. Well I am not prone to acne blemish skin but I do have combination skin and wanted to try this product out. It comes in 3 shades light medium and deep I got one in light and medium shade . I had to use bit of moisturizer but you can use this bb cream without moisturizer too. On application its very light smooth and hydrating gel based product which absorbs on skin giving even tone to it. It also has spf 15 in it. It definetly clarifies skins look . Does minimize pores. I wont say it has heavy coverage but it does conceal any redness and imperfection to some extent. I would definitely recommend this product for acne blemish skin they can use it on their everyday basis because salicylic acid helps in treating acne. And this can be best buy for them. It does not cause any break outs. Its Non oily non greasy product having No fragrance. 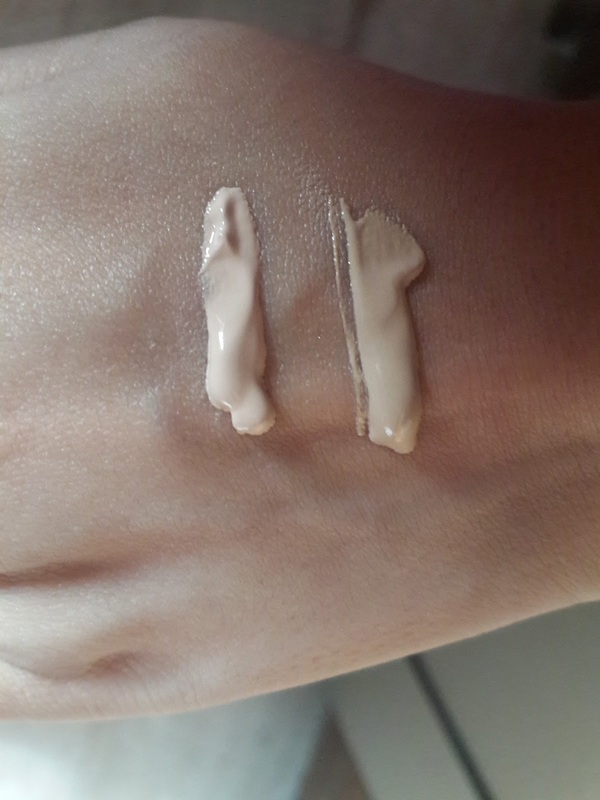 Below are some swatches of bb cream in light and medium shade.